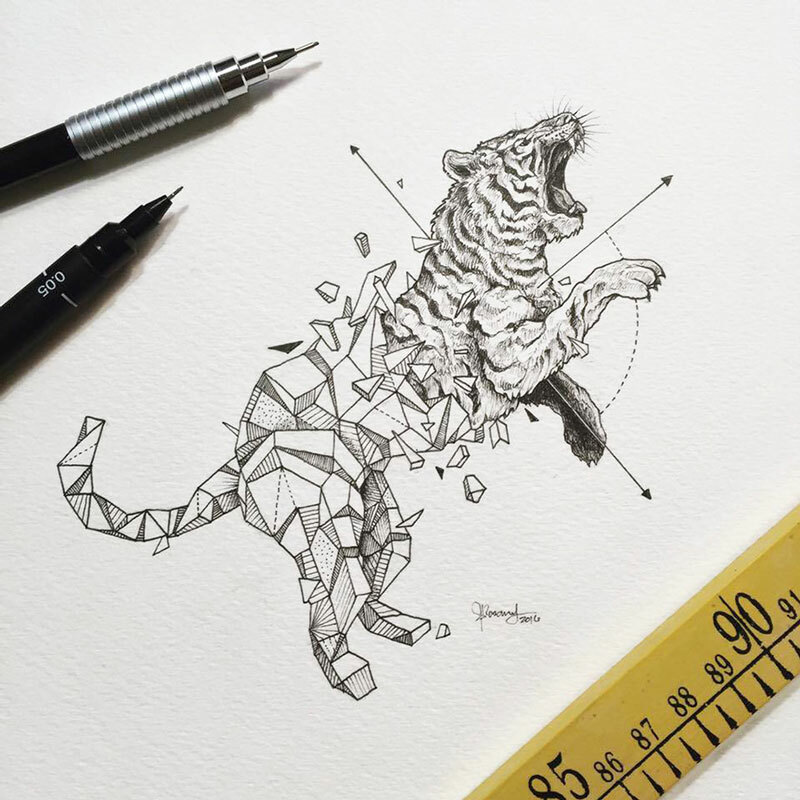 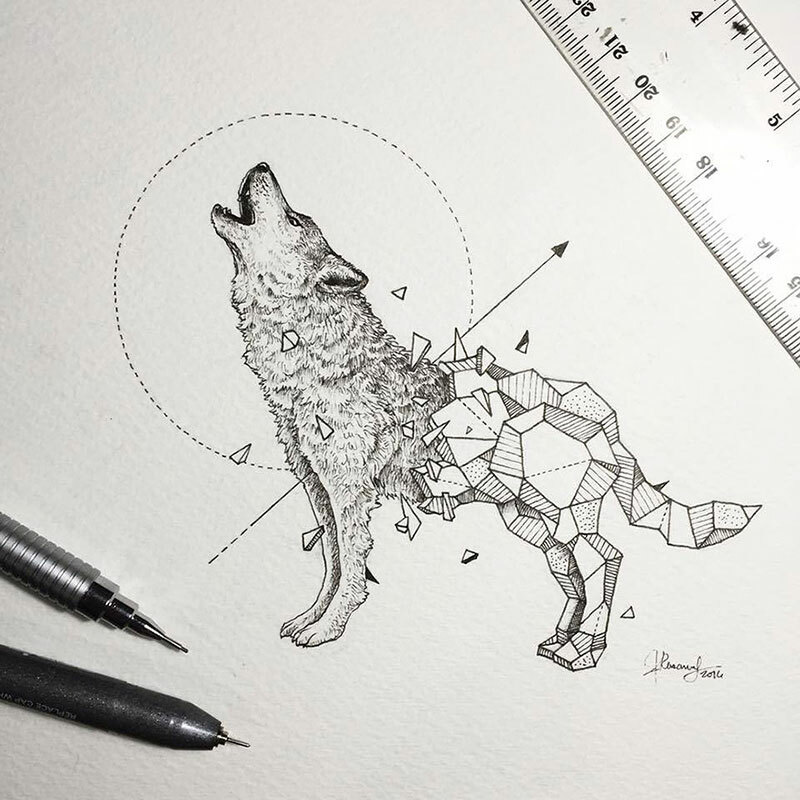 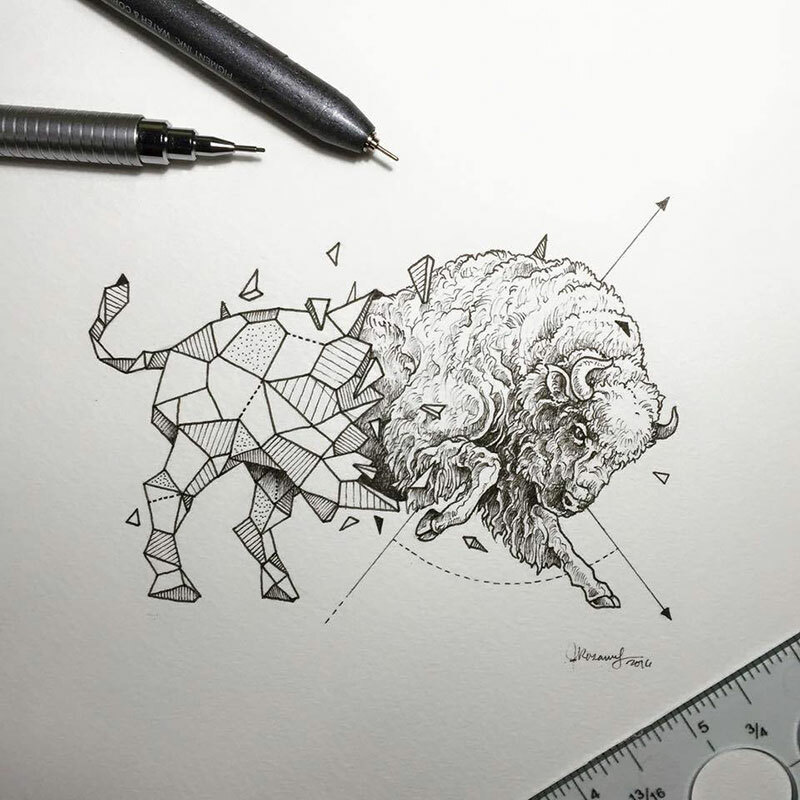 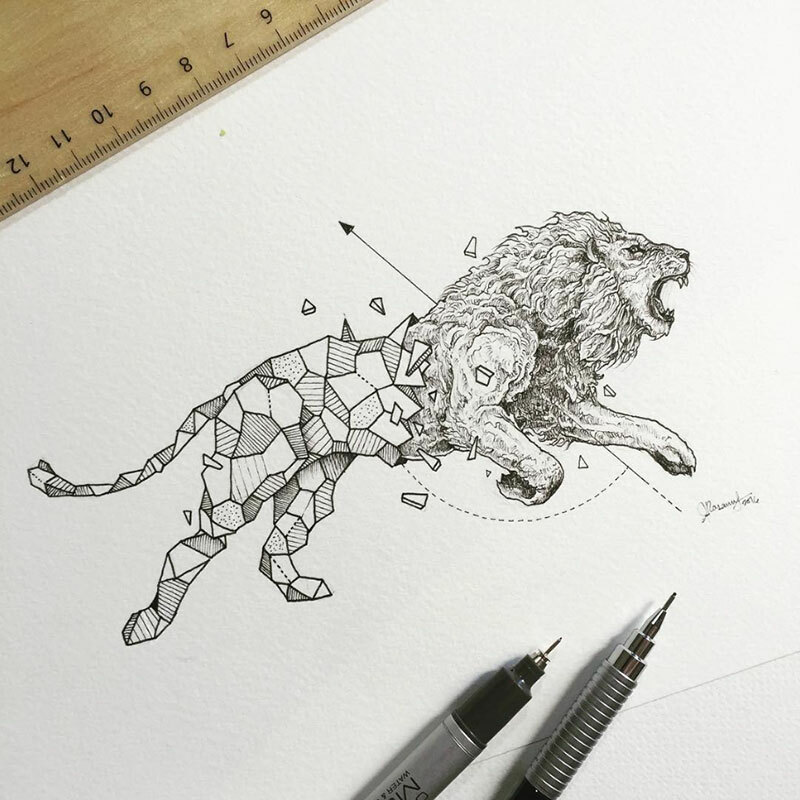 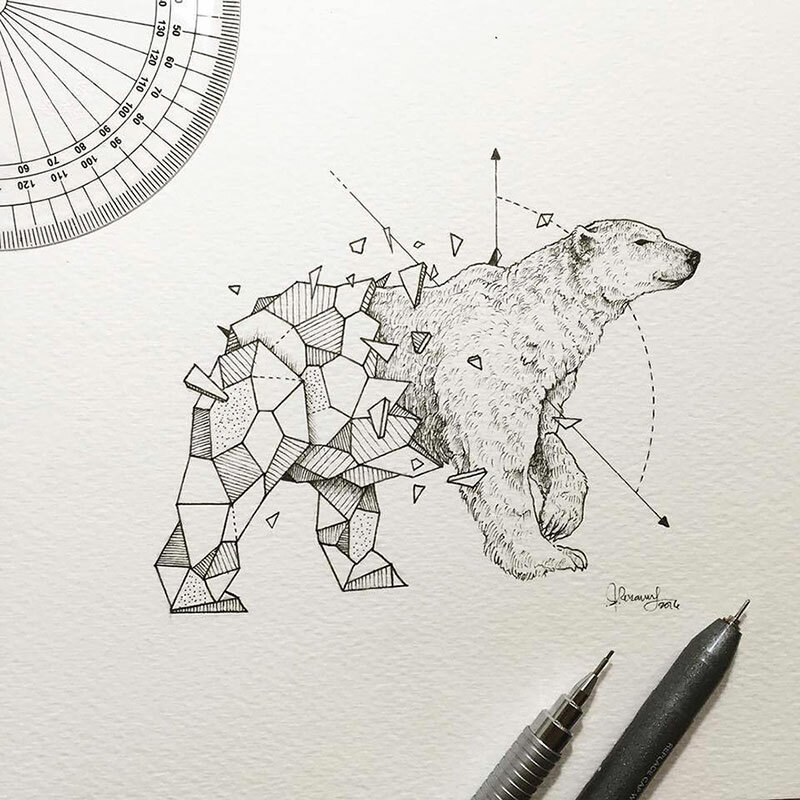 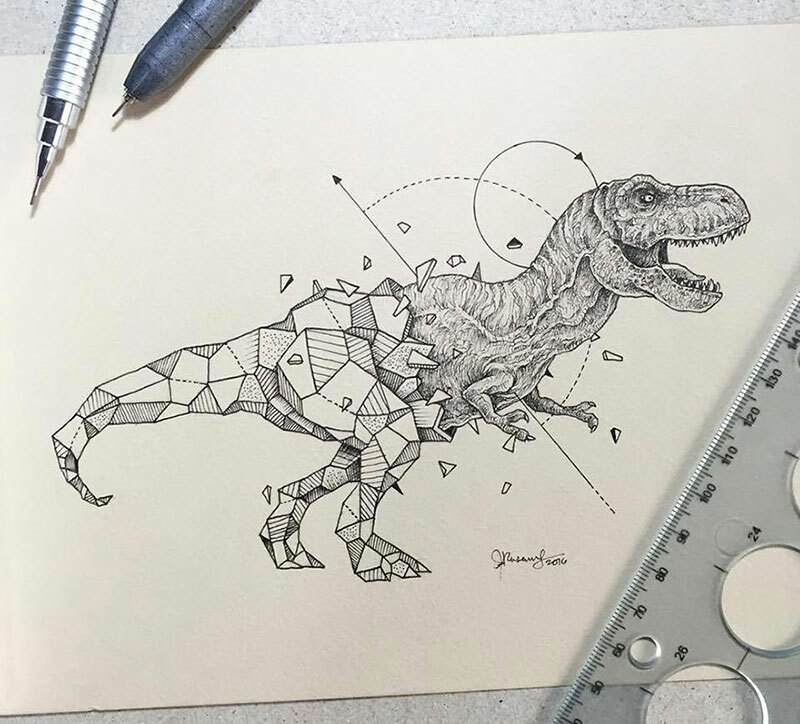 Drawings merging animals with geometric shapes by Philippines-based illustrator Kerby Rosanes. 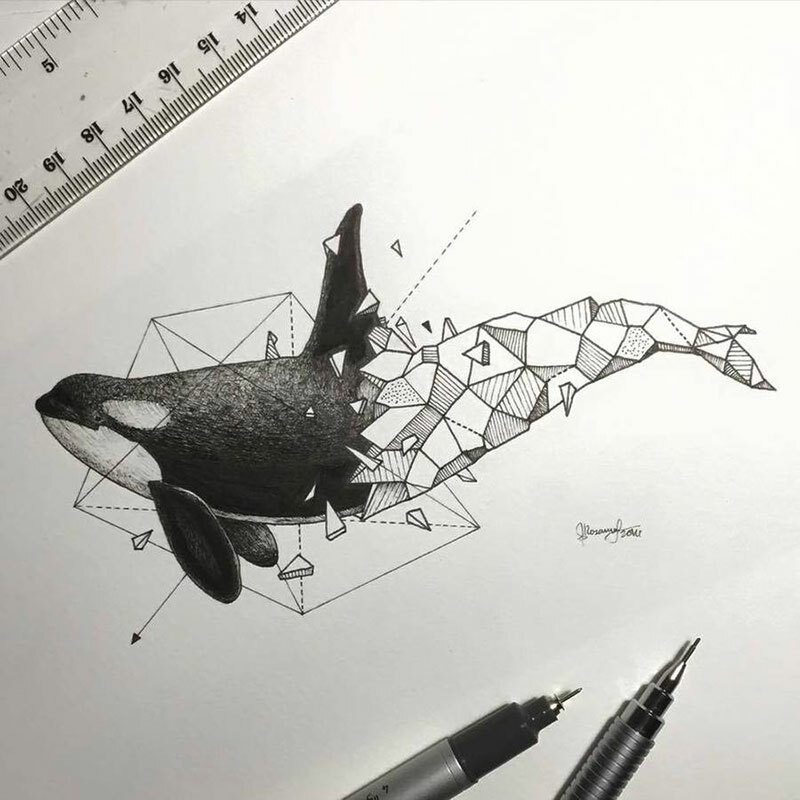 Like straight out of science fiction, the animals look like they're trying to break away from their confined, geometric forms. 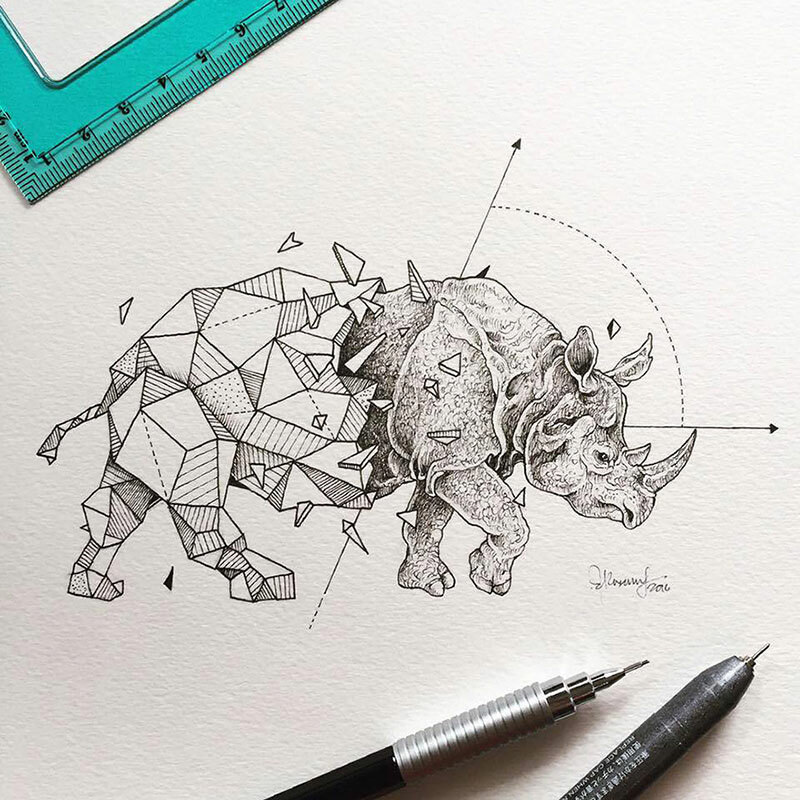 Rosanes uses mainly ordinary black fine liners to illustrate his doodles which are characterized by whimsical lines, patterns, characters and little elements that are spontaneously combined to create intricate compositions depicting scenes from his quirky imagination as well as from everyday inspirations. 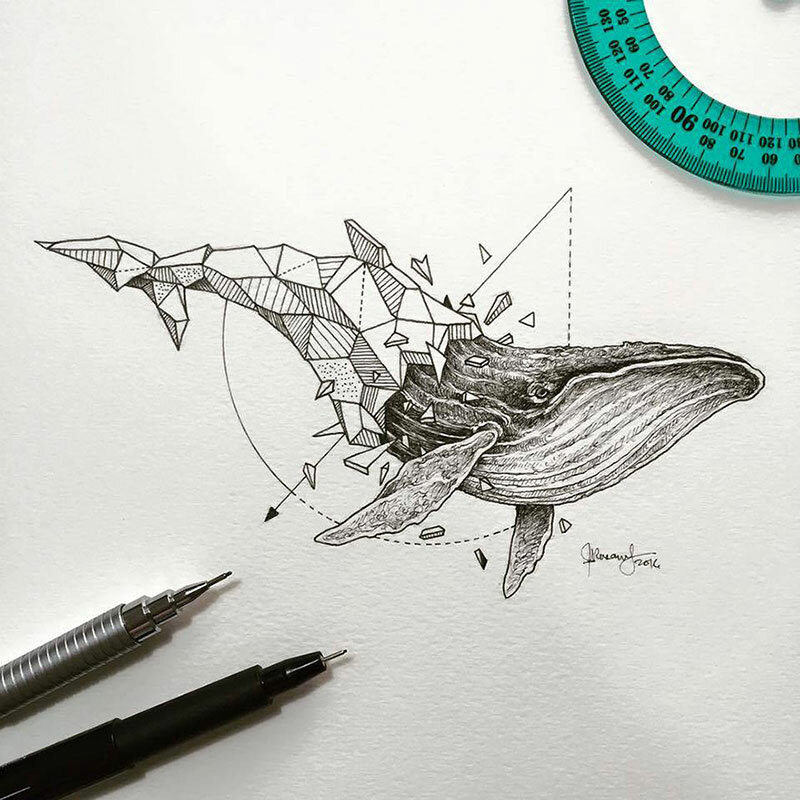 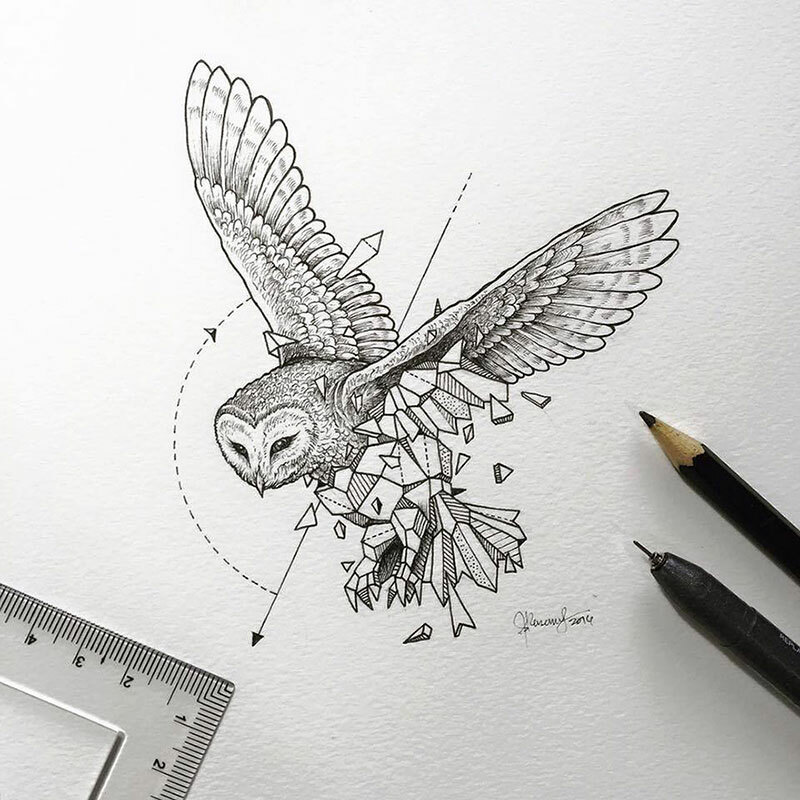 See more of Kerby Rosanes' work on Instagram. 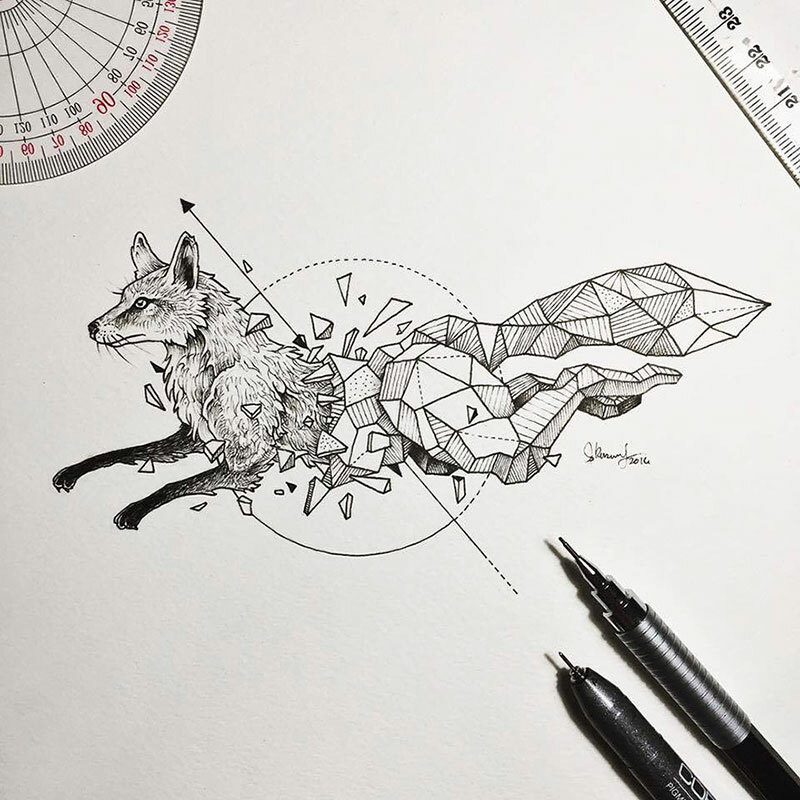 Drawings merging animals with geometric shapes by Philippines-based illustrator Kerby Rosanes.